New York (HAN)September 26, 2014, Public Diplomacy and Regional Security news. A high level ministerial meeting of the Peace and Security Council of the African Union was held on Wednesday in New York on the situation in Libya, Somalia and Nigeria. ministerial meeting discussed the AU Commission Chairperson’s report as well as the statement of the AU’s Special Envoy for Libya, Dileita Mohamed Dileita, former Prime Minister of the Republic of Djibouti, and statements by the representatives of Egypt and Algeria, the chairs of the subcommittees established by a meeting of Libya’s neighbors in Tunisia in July. Ethiopia’s Foreign Minister, who welcomed the consultations of the AU Special Envoy, with Libyan stakeholders and neighboring countries, expressed his appreciation for the efforts being made for a ministerial visit to Libya providing the opportunity to thoroughly assess the situation and chart the way forward. Ethiopian Foreign minister Tedros said Libya has been passing through a very difficult transition period and the prevailing situation was a matter of serious concern, posing a serious danger to the unity of the country and its long-term future. The unrest and the emergence and strengthening of violent extremist groups in the wider region, was also a major peace and security threat for the whole continent. The African Union, in consultation with the countries of the region, must assume a leadership role in resolving the crisis. 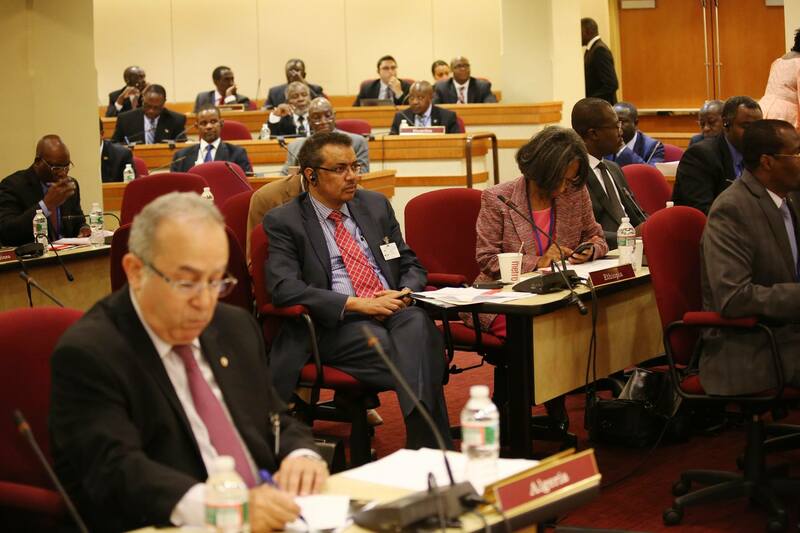 Dr. Tedros emphasized there could be no military solution. He called for an inclusive dialogue to re-launch and complete the current transition on the basis of the respect for the constitutional declaration of August 2011, commitment to the democratic process, and unequivocal rejection of terrorism. He said the crisis in Libya and the regional ramification was something Africa could not afford to ignore. Recent developments in the wider Middle Eastern region made it abundantly clear that when state institutions fail, fringe groups with extremist ideology get opportunities to grow.